Algo Candle is a very good indicator that permits to see, through the candle color, the strength of the algorithmic study chosen. 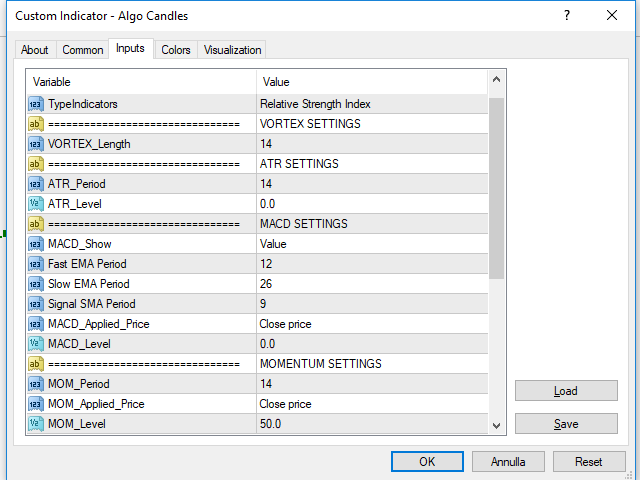 In input you can choose your favorite algorithmic calculations such as: RSI, Vortex, MACD, Momentum, Stochastic and ATR. The candles are colored based on the levels of the chosen indicator. 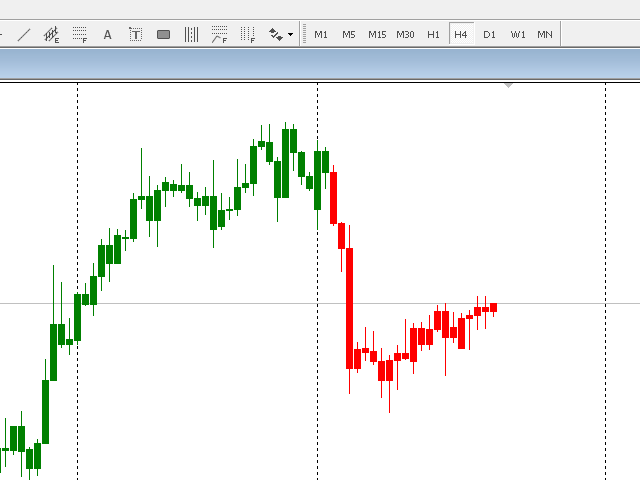 This indicator eliminates too many oscillators or indicators on your charts and gives you very useful information. 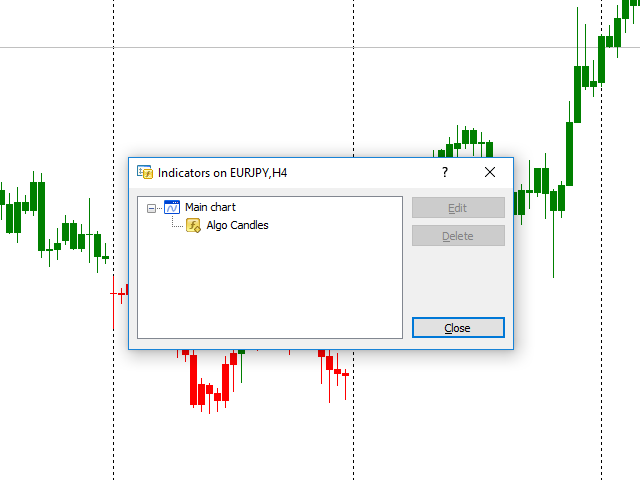 Algo Candle is an excellent operating ally, allowing you to get more effective and efficient information on algorithmic studies. Candles color must be set directly in indicators color (default panel).